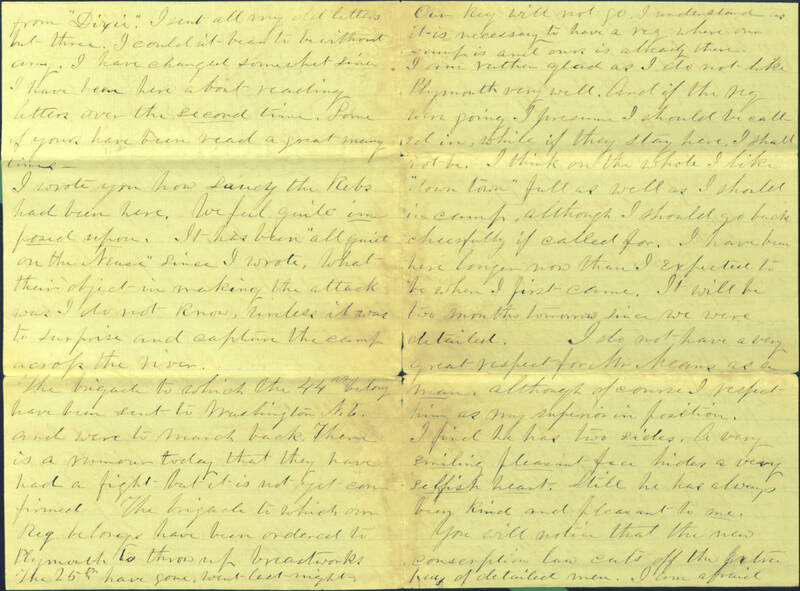 Item Description: Letter,19 March 1863, from Charles W. Hill, serving with the 5th Massachusetts Volunteer Infantry in New Bern, N.C., to his wife Martha Hill in West Medway, Mass. 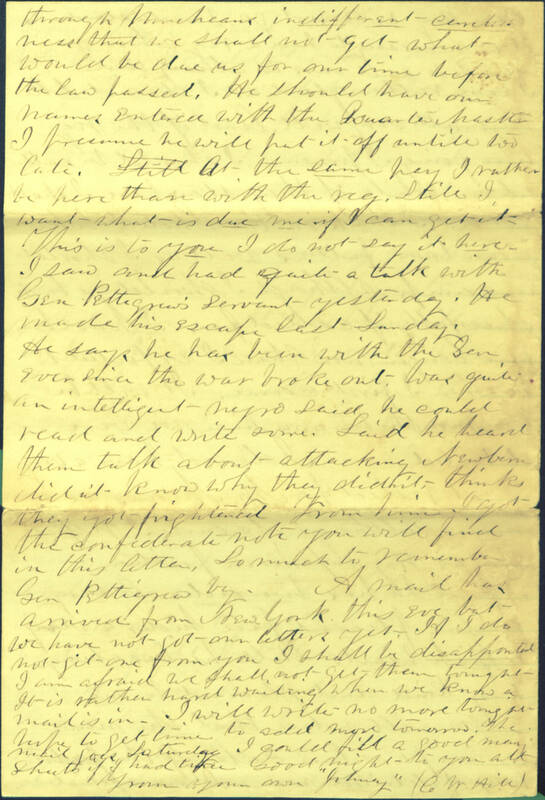 Letter mentions military movements of his regiment and brigade, dislike of a superior officer’s mishandling of soldiers’ pay, a conversation with Confederate General J. Johnston Pettigrew’s servant who had recently escaped, and general morale. Item Citation: From folder 63 of the Federal Solders’ Letters #3185, Southern Historical Collection, The Wilson Library, University of North Carolina at Chapel Hill. Lorry that he used to be. 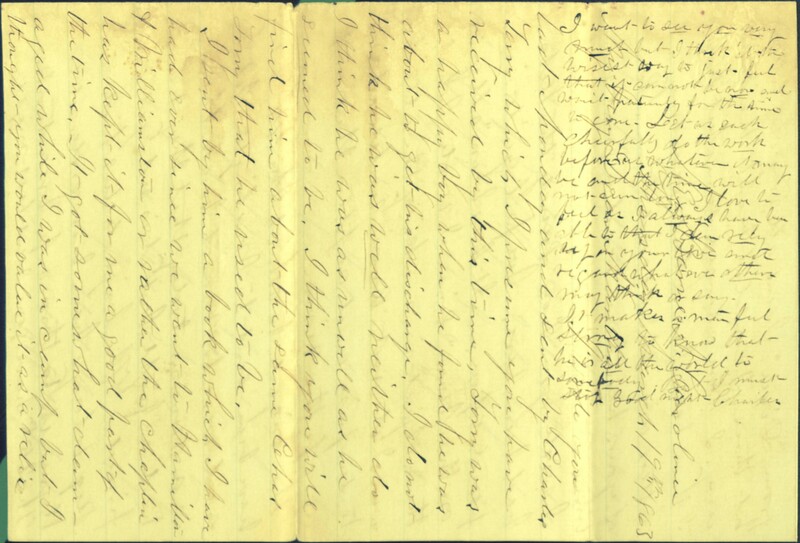 have been sent to Washington N.C.
Plymouth to throw up breastworks. The 25th have gone. Went last night. camp is and ours is already there. him as my superior in position. been kind and pleasant to me. want what is due me if I can get it. This is to you I do not say it here. made his escape last Sunday. 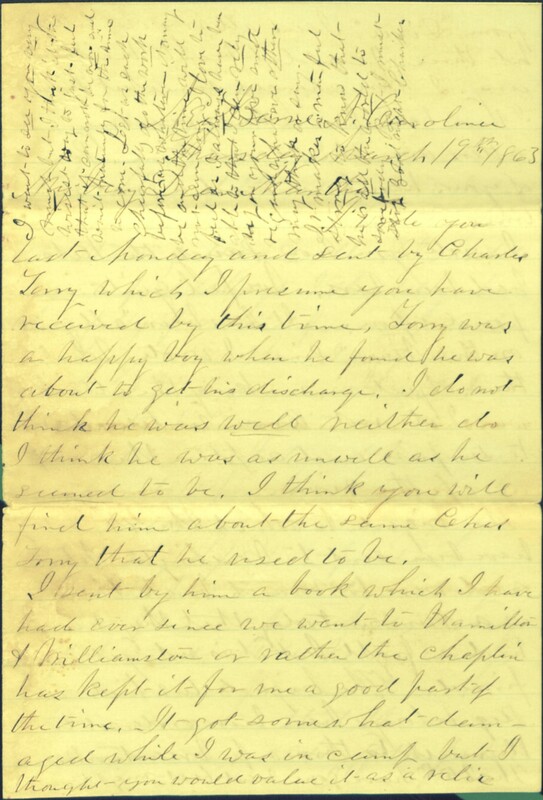 This entry was posted in Southern Historical Collection and tagged 5th Massachusetts volunteer infantry, African Americans, Charles W. Hill, James Johnston Pettigrew, love letters, New Bern, servants, soldiers' pay, United States Army. Bookmark the permalink.